How to Tight Hip Flexors Cause a Headache? How can tight hip flexor muscles cause a headache? Certainly, tight myofascial tissue in one region of the body can cause pain and/or dysfunction locally, but as most manual therapists know, it can also cause pain and dysfunction elsewhere in the body. There are many ways that a problem in one region of the body can affect another distant region of the body, including myofascial meridian (anatomy trains) lines of tension and myofascial trigger point referral. But another way is through mechanical kinematic chains of myofascial pulls that result in postural distortion compensation patterns. So, with this in mind, let’s examine the kinematic chain of elements that can lead from tight hip flexor musculature to headaches. Figure 2. Kinematic Chain from Pelvis to Head. 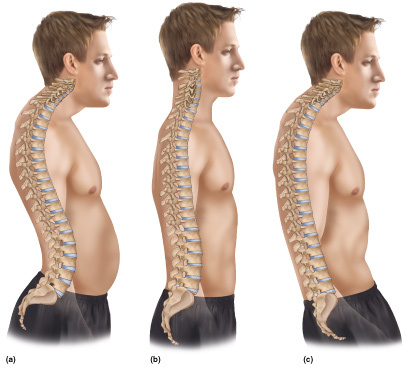 Note how the posture at the pelvis affects the posture all the way up the spine to the head. – Permission Joseph E. Muscolino. Artwork Giovanni Rimasti. Figure 3. Open and Closed Chain actions of sagittal plane muscles at the hip joint. 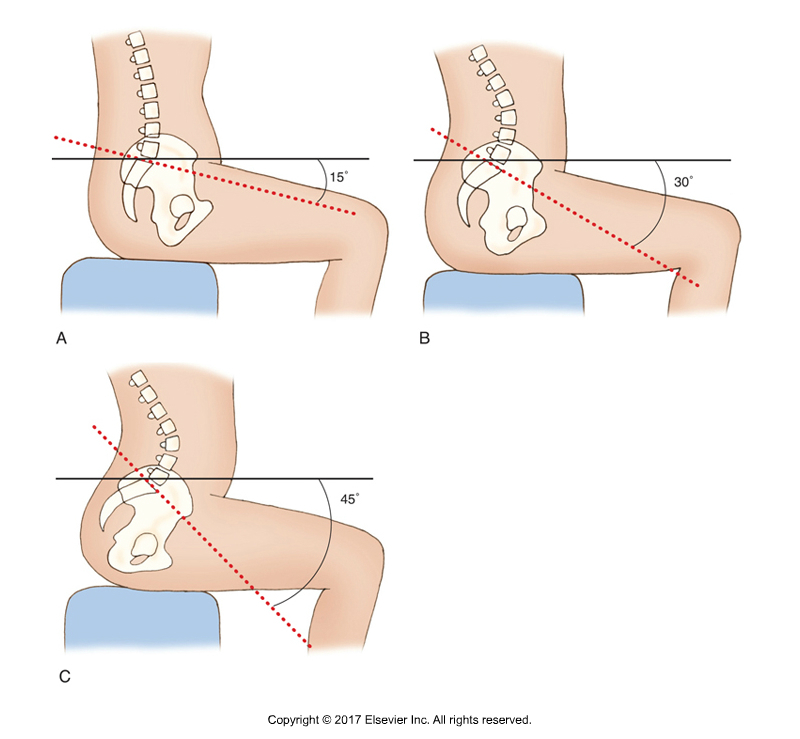 All flexors of the thigh at the hip joint are anterior tilters of the pelvis at the hip joint (Figures C and B). Permission Joseph E. Muscolino. Kinesiology – The Skeletal System and Muscle Function, 3rd ed. (Elsevier, 2017). All hip flexor muscles also do anterior tilt of the pelvis. Flexion of the thigh at the hip joint is the standard “open-chain” (foot is free to move), distal attachment moving toward proximal attachment, joint action for this group. Anterior tilt of the pelvis at the hip joint is the reverse “closed-chain” (foot is against a stable surface), proximal attachment moving toward distal attachment, joint action for this group. So when we are standing on the ground (closed-chain “kinematics” – there’s that fancy word again), tight hip flexor muscles will not result in us having our thigh (and leg and foot) out in flexion out in the air because we need our feet on the ground to stand up. Instead, the tight hip flexors will pull on their proximal attachment, the pelvic bone, pulling it into excessive anterior tilt. So… tight hip flexors result in the postural distortion pattern known as excessive anterior tilt (Figure 3B). Figure 4. The sagittal plane tilt of the pelvis affects the lordotic curve of the lumbar spine. Excessive anterior tilt of the pelvis results in excessive lordosis of the lumbar spine (Figure C). Permission Joseph E. Muscolino. Kinesiology – The Skeletal System and Muscle Function, 3rd ed. (Elsevier, 2017). The top of the sacrum of the pelvis is called the sacral base (the sacrum is basically an upside-down triangle with its base at top and its apex at the bottom). And what sits on the sacral base? L5 of the lumbar spine. Effectively, the curve of the lumbar spine, the lordotic curve of the lumbar spine, is determined by the relative horizontal/vertical tilting of the sacral base. With a neutral postured pelvis (we can argue exactly what this should be, but it is somewhere around a 30-degree sacral base angle), we will have a certain degree of a lordotic curve of extension of the lumbar spine to bring the upper body back to a level posture. But when the degree of pelvic anterior tilt increases, the degree of the lordotic curve of the lumbar spine must increase to compensate. SO… an excessively anteriorly tilted pelvis causes a hyperlordotic lumbar spine (Figure 4C). BTW, excessive anterior pelvic tilt with excessive lumbar spine lordosis is a postural distortion pattern known as lower crossed syndrome (see Figure 8). If the lumbar spine is hyperlordotic, then the superior surface of the body of L1 becomes less horizontal and instead more vertically oriented posteriorly. Now, just as L5 sits on the sacral base, T12 sits on the body of L1. In other words, just as the lumbar curve is dependent on the posture of the pelvis, the thoracic curve is dependent on the posture, i.e., the curve, of the lumbar spine. Result? A hyperlordotic lumbar spine creates a hyperkyphotic thoracic spine as a compensation (see Figure 2A). So now the body of C7 must sit on the surface created by the body of T1. When the thoracic spine is hyperkyphotic, the superior surface of the body of T1 is more vertically oriented anteriorly, so the cervical spine is projected horizontally anteriorly. 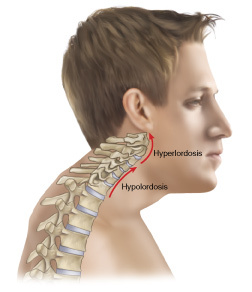 The result is that the lower cervical spine ends up being hypolordotic, with a concomitant compensation of hyperlordosis (hyperextension) of the head at the atlanto-occipital joint (see Figure 2A) to bring the eyes and inner ears level (often called the “righting reflex”). Figure 5. Anterior (Forward) head carriage, Permission Joseph E. Muscolino. Artwork: Giovanni Rimasti. When the lower to middle cervical spine is hypolordotic and the head is hyperextended at the atlanto-occipital joint, the result is that the head is projected anteriorly from the trunk. 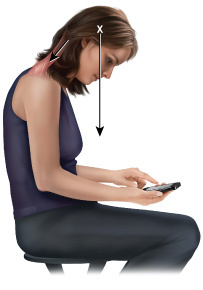 This results in a postural distortion pattern known as anterior head carriage (Figure 5). Figure 6. Anterior head carriage with center of weight of head over thin air. Permission Joseph E. Muscolino. Artwork: Giovanni Rimasti. When the carriage, i.e., the posture, of the head is anterior to the trunk, the center of weight of the head is not “balanced” over the trunk; rather it is “imbalanced” over thin air (Figure 6). This should result in the head (and neck) falling into flexion due to gravity. Why doesn’t it? There must be a counterbalancing force of extension. This counterbalancing extension force is usually caused by cervicocranial (neck and head) extensor musculature in the back of the neck, such as the upper trapezius, splenius capitis and cervicis, semispinalis cervicis and capitis, levator scapulae… basically every muscle with a vertical direction to its fibers that cross the spinal joints of the neck and head posteriorly. Because this musculature must remain isometrically contracted all the waking hours that we stand or sit (most all the day), they are (in the words of the author Leon Chaitow) “used, overused, misused, and abused.” Consequently, their baseline tone becomes tight (they become “locked”). So a forward head posterior causes our posterior neck extensor muscles to become tight. Figure 7. Cervicocranial myofascial attachments on the head. Permission Joseph E. Muscolino. Advanced Treatment Techniques for the Manual Therapist: Neck (2013). When posterior extensor musculature of the neck and head become chronically tight, they exert their constant isometric contraction pull upon their attachments, which is primarily the head (Figure 7). This results in constant pulling (tension force) on the fascia of the scalp, which can cause irritation and pain at the scalp, in other words pain or aching at the head, in other words, a “headache” (to make this sound fancier, we can put it in Latin and call it “cephalgia”, which means “head pain,” i.e., “head ache”!). This type of headache is termed a tension headache. So, tight posterior neck musculature can cause a headache! Note: Tight fascial adhesions in the back of the cervicocranial region can also create a (passive) extension force to oppose the flexion force of gravity upon the head and neck, as explained in the last paragraph. This would also create tightness in the back of the neck/head region, which can, as this paragraph explains, create a tension pulling on the head, resulting in a headache. We can see from this linear step-by-step progression of logic how tight hip flexors can result in a tension headache. This does not mean that every client who has tight hip flexors necessarily will have a tension headache as a result, but tight hip flexor musculature is a predisposition for a tension headache because of the physical stress factors that move along the kinematic chain, similar to how a row of dominoes would fall when the first one is set in motion. What might one application of this reasoning be? 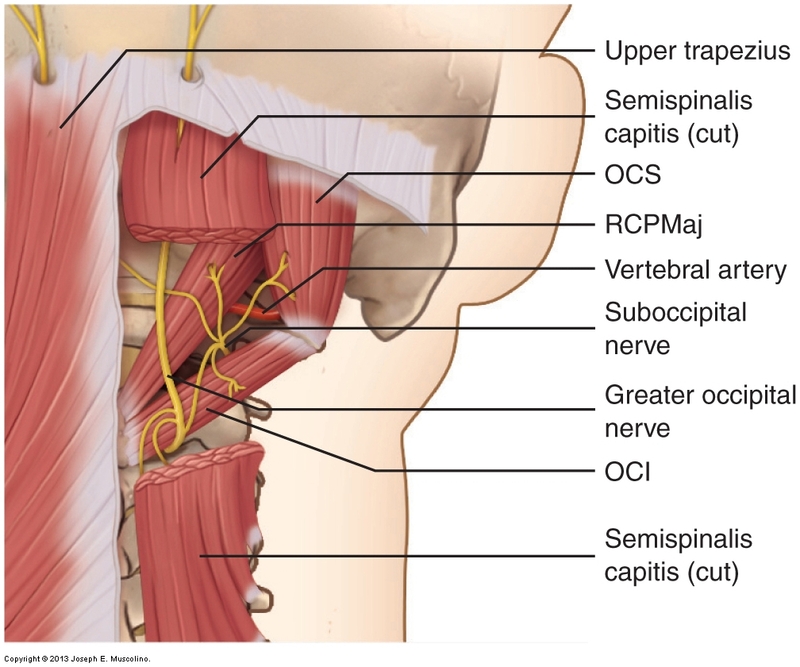 When a client comes in with tension headaches or a tight neck, in addition to working the local cervicocranial region (the neck), perhaps we need to examine adjacent and far distant areas within the kinematic chain to see if the cause is fundamentally elsewhere. Otherwise, our wonderful treatment to the neck may consistently prove to be temporary, and the client will never achieve lasting relief. I am fond of saying to new patients/clients who present with neck/headache problems: “If you want your neck to feel better today, I will work it today. If you want your neck to feel better in six months, then I need to treat the thoracic spine.” This is not always the case, but often it is. And of course, if the reason for the thoracic spine’s pathomechanics is due to the lumbar spine or pelvis or hip musculature then I must treat that area as well! Figure 8. Upper and Lower Crossed Syndromes. Permission Joseph E. Muscolino. Artwork: Giovanni Rimasti. The take home from this, which I hope is obvious, is that when working as a clinical orthopedic manual therapist, it is necessary to not only have excellent hands-on skills, but to also understand how the human body functions mechanically (including neuromechanically) and learn to recognize patterns of mechanics and pathomechanics that travel through the body. This article presented one such “possible” chain of pathomechanics that might underlie our client’s neck/headache problem. Others exist. The circumstances for each client are unique to that client. In other words, the answer “depends” on that specific client’s mechanisms. 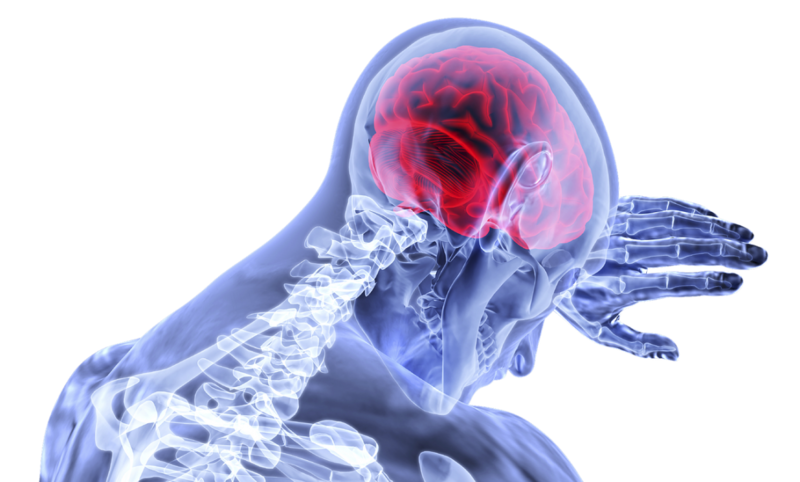 So for us to be able to truly help our clients, we need to be able to critically think so that we can creatively apply our hands-on techniques to the fundamental underlying pathologic mechanisms that cause that specific client’s pain and/or dysfunctional condition.